Check out Stampin' Up! 's latest promotion. 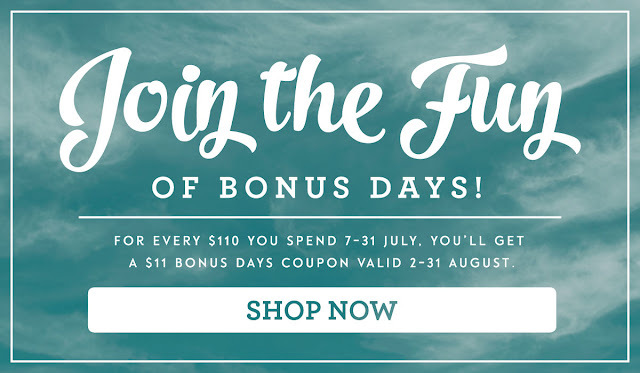 For every $110 you spend on product between 7 - 31 July, you'll receive a Bonus Day Coupon worth $11 to spend between 2 - 31 August.